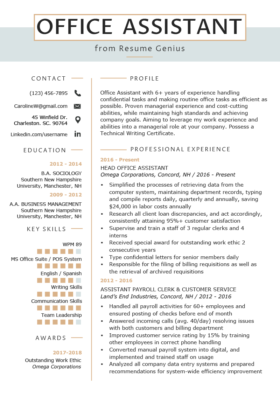 Learn how to write the perfect receptionist resume. 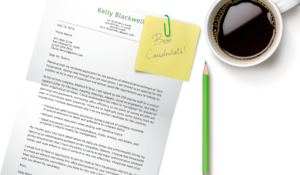 Use our HR-approved downloadable sample, matching cover letter, and 4 expert writing tips. Learn how to use action verbs to enhance your resume. Offering an overview of your professional experience, skills, and achievements does a huge favor for recruiters and hiring managers. 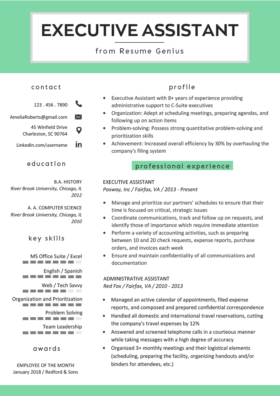 Starting your resume with an introduction like a professional profile saves employers time and helps convince them to read through the rest of the document. Follow this four-point model, and your professional profile will be sure to inspire HR managers to read through the rest of your resume. The Professional Profile is best suited for, you guessed it, professionals. If that’s what you are, read our Professional Profile writing guide to make sure you’re starting off on the right foot. Deciding what to write in the professional experience section is often the most difficult aspect of the resume writing process. That’s why many take the easy way out and merely list generic job duties. However, simply listing your responsibilities just doesn’t cut it because doing do almost never gets employers excited about hiring you. It’s important to notice that the problem, action, and results can be placed in any order throughout the bullet point. 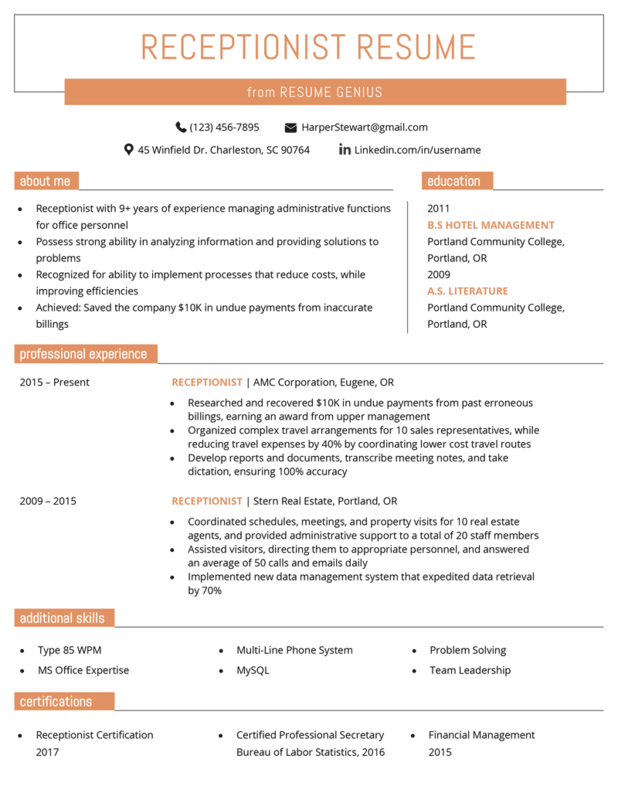 Additionally, the results segment presents a great opportunity to add a number to your resume. Managers love to see numbers on a resume because they provide evidence of the candidate’s abilities. Applying the PAR Method to your professional experience section will speed up the writing process and maximize your chances of getting called in for an interview. To read more about how to write a persuasive resume, click here. Technical: Ability to use and maintain standard office equipment, including printers, scanners, copier, shredder, etc. You know you have the skills, but do you know how to present them persuasively? Learn the ins and outs of presenting skills on your resume here.